I enrolled in a 9-month yoga teacher training. And just like that, my calendar went from a losing Bingo card to a total blackout. And I did—but not without pain. 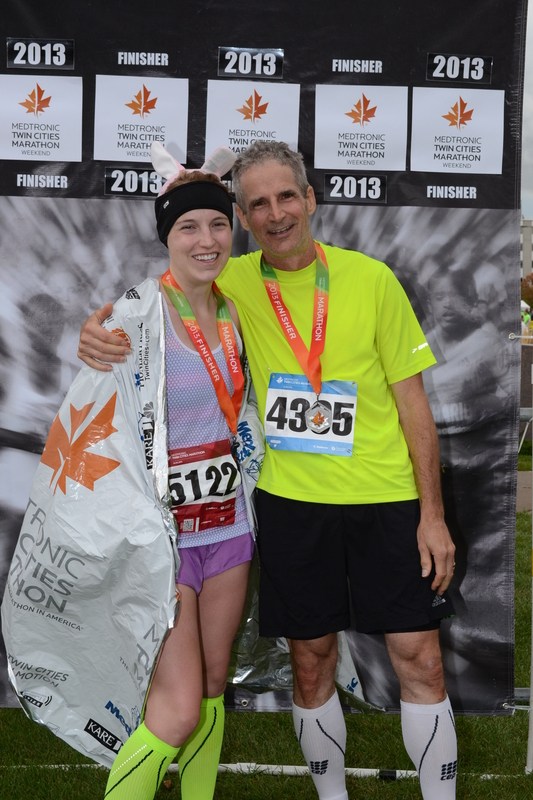 Dressed like a rabbit and running a tortoise pace, I trekked 26.2 miles. It was my slowest marathon in two years, and a reminder that a marathon isn’t just a thing you go and do. I realize that sounds stupid and obvious, but I had forgotten this simple fact: marathoning is hard. Moreover, it’s a team sport. There’s no way I could have finished that race without my cheering squad. So here’s to mom, Ann, Dale, Philip, and Cora for boosting me to the finish line. We made it! Dad (3:45) and me (4:04) reunited at the finish.